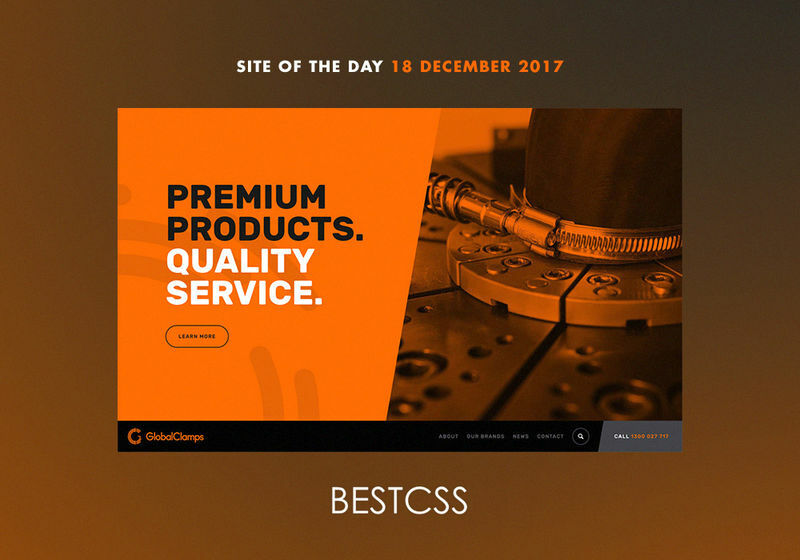 On December 18th, 2017, The new Global Clamps website was featured as Site of the Day on BestCSS. BestCSS recognises and showcases the best of the best in web design and development agencies across the world. It's also a great place for design inspiration. After many months of hard work planning, designing and developing the website, we couldn't be more proud to win the Site of the Day award. A big thank you to our web design agency Spicy Web for their hard work to make this website a reality. This is the first, and a very important step, to Global Clamps becoming a top-tier player in the market.